Hello my lovelies! What are you up to on this fine Saturday? The sun is shining but it's freezing cold, so I'm not planning to get out of the house today. Instead I'm gonna relax and also write this post to show you some nails that I created last week and wore until a couple of days ago. 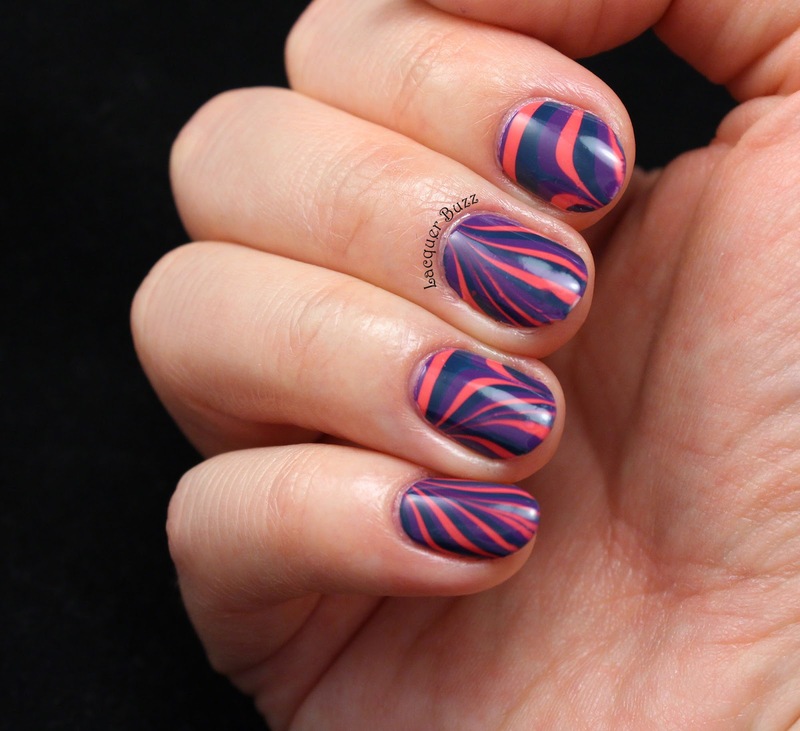 If you've known my blog for a while you might know that I sometimes get inspired to create a water marble on my nails. This doesn't happen more than a couple of times a year though because water marbles are frustrating and they take a lot of time. It's been over a year since I created my last one so I was kind of in the mood to try one. But this time instead of using the regular method of dipping my finger in the water and creating a mess, I decided to create water marble decals. Here's how they turned out. I'm quite happy with these, even though they are still not perfect. 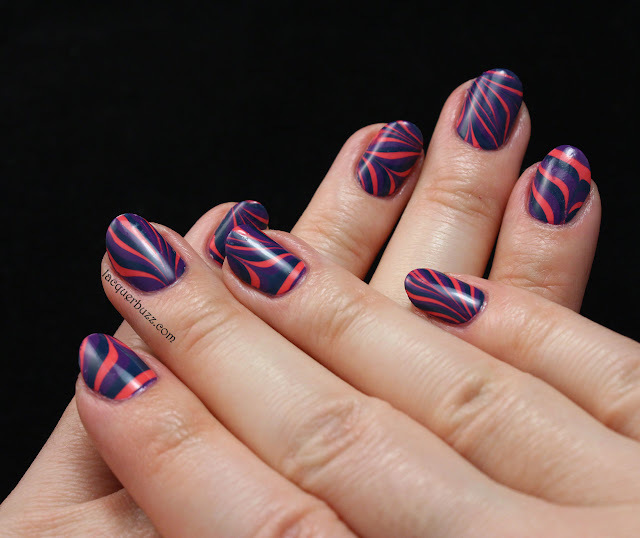 There are tons of tutorials for water marble decals out there, both on YouTube and nail blogs, so I'm not gonna bother explaining this again because others have done it better than me. What I love about this method is the fact that you use a lot less nail polish compared to the regular method. I only created 2 nail polish designs in the water and they were enough for all my fingers. I just waited for them to dry in the water, picked them up and then cut them approximately the size of my fingers. I was also able to choose which part of the design I wanted on my nails. Of course cleanup is also easier with this method and you don't need to mask your fingers with tape or a latex barrier. 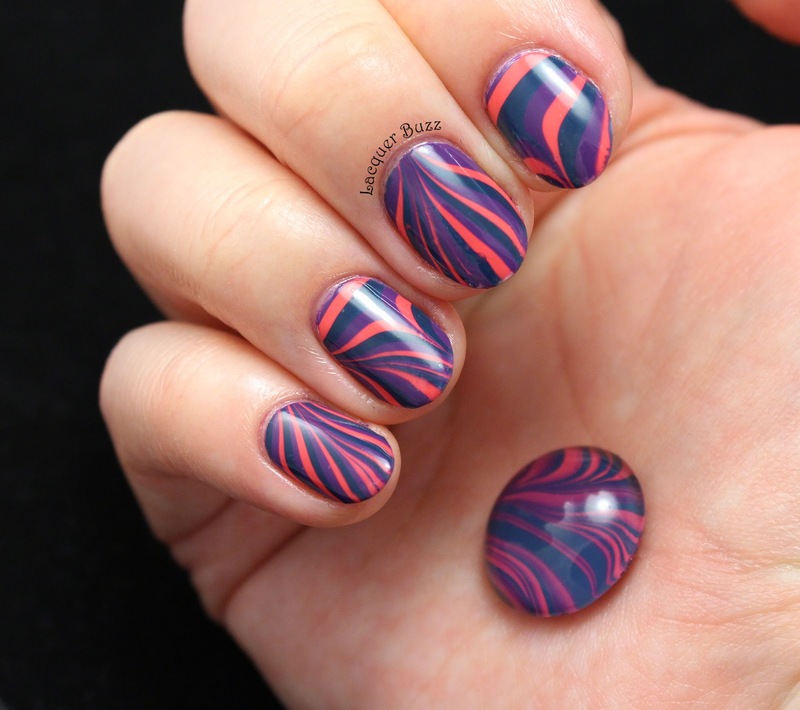 The design of this water marble was inspired by an older one that I used on a cabochon for a ring from a while ago. This never ended up on a ring base, but instead remained forgotten in a box somewhere. I recently dug it out and got inspired (you can see it in the picture above). The polishes are all from the p2 Volume Gloss collection. They are: Wild Miss (teal), Midnight Vamp (purple) and Funky Babe (coral). I find that it's easier to work with polishes from the same brand, plus these Volume Gloss ones spread beautifully in the water and they are quite opaque. Now there are a few disadvantages to this method, at least for me. The biggest one was the fact that the decals dried out once they were out of the water and became stiff and fragile. I'm not sure how this can be fixed because I applied them immediately after taking them out of the water. The other thing I didn't like is that you can't cut them perfectly to the shape of your nail so there is still quite a lot of cleanup to do at the cuticles. Applying the decals takes a bit of time because of this. It's still less than it would take with the regular method and you use a lot less polish so I'm still happy with this method. Anyway, here's a shot of both my hands wearing the marble. Of course my Cinderella hand came out better but it can't pose, so this is the only way I can show it to you. I loved how these turned out even though they took a bit of time to create. 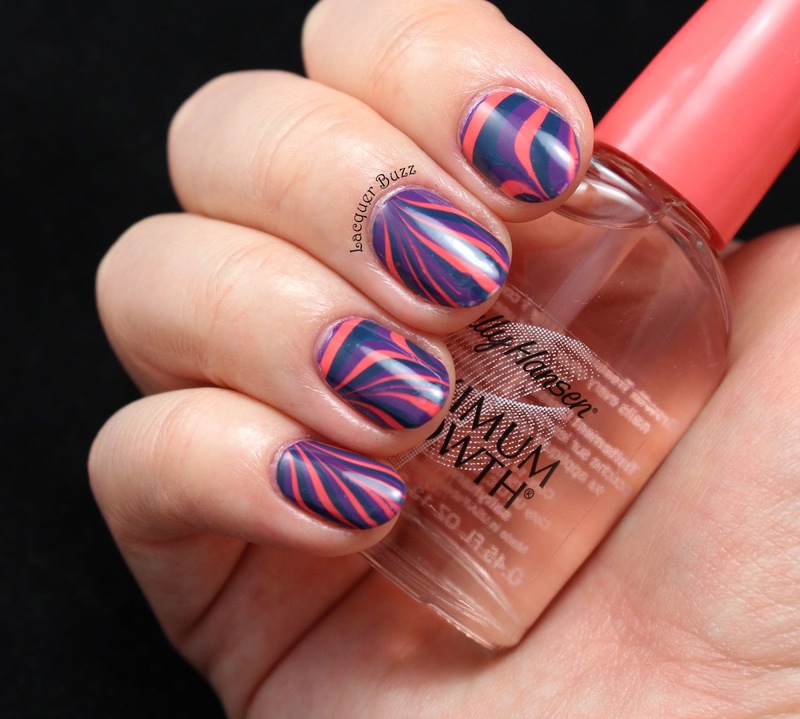 A water marble is nice to do, but not too often. If you wanna check out the other water marbles I did since I started the blog, there is a water marble label that shows all the posts. Thank you for reading my ramblings and have a great weekend!